When it comes to choosing a costume all dogs are not created equally. Some dogs can pull off a flamboyant costume while others are more suited for a style that is simple or cute. With so many costumes to choose from, which costume will suit your dog’s persona. The right costume could very well make your dog a winner at the annual dog parade or the hit of the Halloween Party. 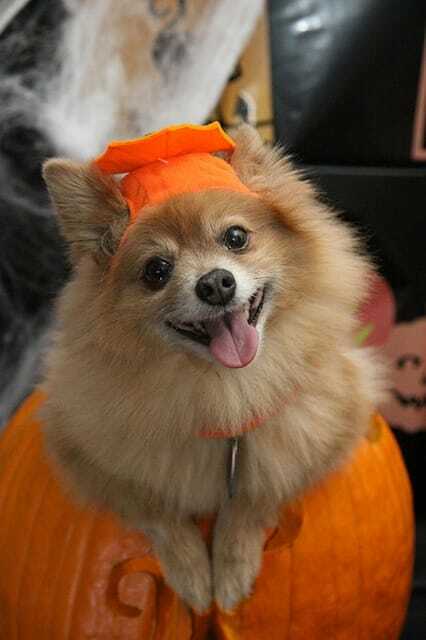 Follow these tips and learn how to choose a Halloween costume for your dog. Study your dogs appearance and also their attitude. Determine their character. Is your dog serious, nonchalant, and shy or does your dog have celebrity qualities. When you decide on your dogs personality you will be able to choose the costume that that will suit their individuality. Coordinate the costume with your dog’s personality. If you have a peppy little dog; Chihuahua, Pomeranian, or a Bichon Frise that runs around the house all day or plays happily with their toys then a simple costume for this pup just will not do. Choose a costume that is dramatic because his exuberant personality deserves a costume that is a show stopper. For those of you that have a large laid-back ‘everything is cool’ dog: Neapolitan Mastiff, Samoyed, or Labrador Retriever you can dress this breed of dog up and in a comfortable costume and send him on his way. This family oriented dog is calm and gentle and is patient with their family. These dogs will allow you to paint their toe nails and to dress them in a ballerina tutu. So if you want to complete this look with a floppy hat go right ahead. Do whatever you want it is no big deal, because this breed of dog will sit, and stay; after all, it is their job to make your day. All dogs need a Halloween costume. Even if you are on a budget you can make your Basset Hound, Beagle or Pug a budget friendly costume by utilizing what you have on hand. Look around your house for unique ideas. For a low cost costume choose a simple head piece; take a large brown paper bag, the type you get from a grocery store and cut out eyes and a space for your dogs nose. Set it over your dogs head and your darling dog is a frugal ghost. You can elaborate the ghost costume by using a twin size white flat sheet for a very spooky ghost dog. Check the fit of the dog’s costume. Make sure that the costume is not too tight around your dog’s neck, as he needs to be comfortable to be able to walk, sit and stay. If your dog pitches a fit, growls or barks at the costume, its best to just put the costume away, never force a dog to dress up for any occasion. Be sure to give your dog a treat, otherwise you might be in the doghouse for a week! Avoid putting a mask on a dogs face as in will hinder their breathing.